The Automated Orders and Deliveries Overview is a quick review of problems with deliveries. It displays non-deliveries across market segments over time. It includes overview of orders and deliveries by key customers, by brands and more. The report evaluates data from several years, displaying all results in several graphs on a single sheet. 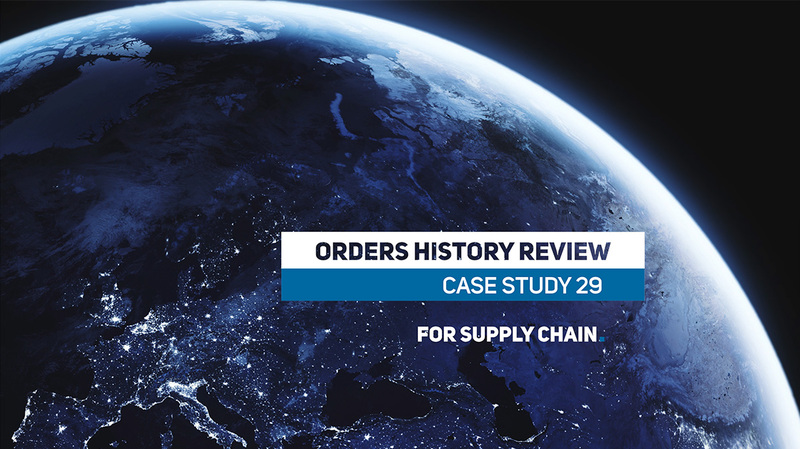 Our client had been encountering a large ratio of undelivered orders to key customers in several countries over a certain period of time. 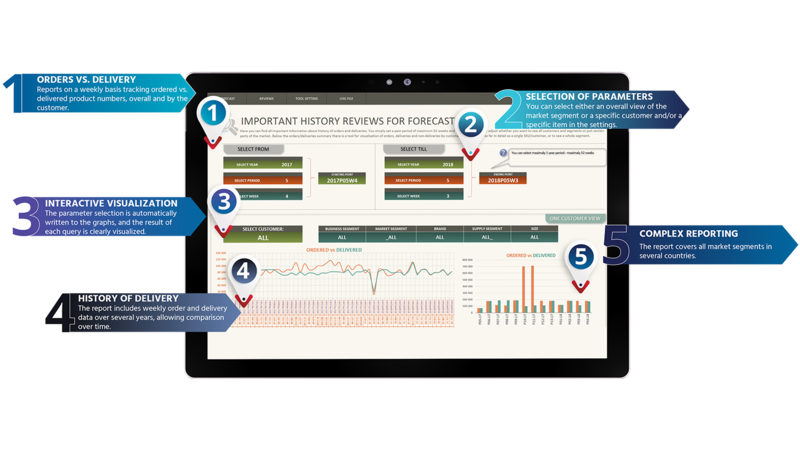 Since understanding the history is the key to understanding the present, we developed for him an automated overview report. The Automated Orders and Deliveries Overview visualizes data in a clear and efficient way. It unifies the evaluation of undelivered orders in all market segments in several countries. All report outputs can be easily transferred to presentations. Then they serve for feedback to employees or for presentation at meetings with top management and stakeholders. It is useful not only at the time of troubles with deliveries but also as a practical and easy control mechanism for daily operations. The input data of the report are weekly overviews of orders and deliveries of individual SKUs to individual customers. The client did not systematically monitor the history of non-deliveries before starting cooperation with us. That is why we developed a computing module first. It allowed us to process large amounts of weekly data from several years. It is also used for weekly updates to the report. The calculated data sorted by SKUs and customers enter the service section of the Orders and Deliveries Overview. The client wished to track each market segment in a separate report but the format of Orders and Deliveries Overview is the same for all segments. At the top of the report, the user sets a period which he or she wants to display. Furthermore, using simple buttons he sets the overview parameters: customer, commodity, brand, package size. He can display all categories or a specific one. The selected parameter settings are automatically transferred into graphs. These show the total difference between orders and deliveries per week, a summary report for four-week periods, a percentage of non-deliveries YTD, a percentage of non-deliveries for the last week, orders by brand and orders by type of goods. The bottom of the list shows orders vs. deliveries by customers, providing an overview of customers which are most affected by non-deliveries. Automated Order and Delivery Overview is closely related to addressing the causes of non-deliveries. These may be related to and often are related to inaccurate sales forecasts and a subsequent running out of stock for specific SKUs. For such cases, we have developed a Forecasting Tool that optimizes sales forecast based on customised algorithms and customer demand planning.